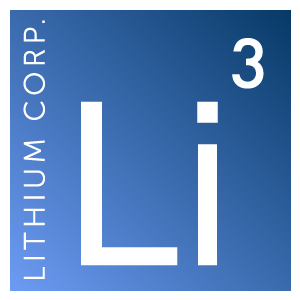 This website contains historical and archived press releases for Lithium Corp. The information in these press releases is historical in nature, has not been updated, and is current only to the date indicated in the particular press release. This information may no longer be accurate and therefore you should not rely on the information contained in these press releases. To the extent permitted by law, Lithium Corp, and its employees, agents and consultants exclude all liability for any loss or damage arising from the use of, or reliance on, any such information, whether or not caused by any negligent act or omission.